Feburary 15 2015, 6:00 PM EDT. 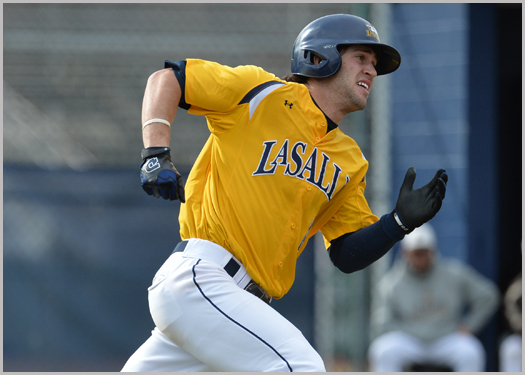 Justin Korenblatt collected six hits to go along with three RBIs to lead La Salle to a pair of wins over Stetson University during college baseball's opening weekend. A First Team All-Atlantic 10 selection a year ago, Korenblatt picked up right where he left off, knocking in a run in the seventh inning of Friday's season opener to break a scoreless tie. The Explorers went on to add a pair of runs in the eighth to secure a 3-0 win. Seven pitchers combined on the shutout for La Salle. The Explorers offense erupted for five runs in the opening frame on Saturday and scored ten unanswered runs en-route to a 11-2 win. Ethan Springston paced the offense, finishing 4-for-6 with a pair of RBIs while Michael Flax and Josh Savakinus each chipped in with three hits a piece. Korenblatt finished the afternoon 2-for-6 with a pair of RBIs. Stetson used a three run seventh inning on Sunday to salvage a win in the finale of the three-game set, trumping the Explorers, 7-4. Villanova dropped its two games in Raleigh over the weekend with losses to North Carolina State and Appalachian State. Sunday's contest against Davidson was cancelled due to the extreme cold engulfing the Carolina coast. Max Beermann paced the offense over the weekend with three hits and five total bases. The Wildcats will play in the Irish Baseball Classic this coming weekend in San Antonio with a doubleheader scheduled for Friday with contests against Northwestern and Notre Dame. Saint Joseph's will open its season this coming weekend with a three-game set at Loyola Marymount.